From the day Joseph Massie introduced Matthew Lander and Floral.today to each other, we have been enjoying every second! Matthew has a wonderful passion for design along with a fun infectious personality. 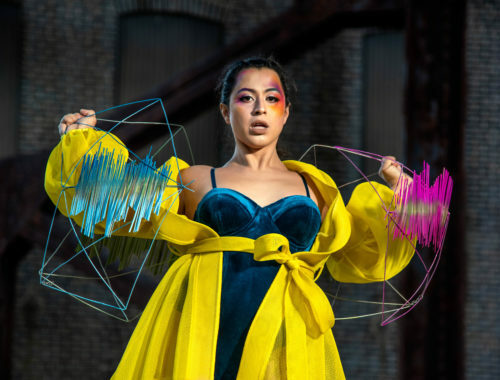 The Matthew Landers Academy may be young, being only established in July 2012, but it is one of the most on-trend and industry advancing academy’s offering courses to the industry today. Matthew Landers Academy is the largest Private Training Provider in Western Australia and has courses available for Hobbyist, Beginners, along with Industry and Advanced training courses. 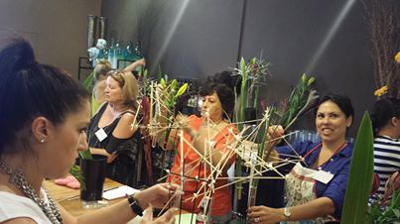 Where have you found the greatest impact when teaching floral design, demonstrations or workshops? The greatest impact for myself would be teaching techniques. There have been many occasions where intermediate or senior floral designers have come to us to further their skills and in fact have been poorly taught or self-taught. I believe our greatest impact is teaching thoroughly the correct use of the sundries and supplies that are designed and engineered for botanical product and our industry. I also feel we have impacted many Beginners who thought it would be ‘easy’. 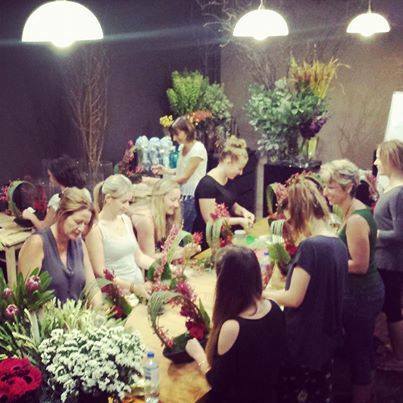 Teaching them that there is indeed training, skills and education that is required to become a Floral Designer. What struggles have you found with teaching floral education to the public compared to professional designers? To be honest, the public are generally better students. They’re keen to learn and listen to what you have to say. Floral Designers tend to have already made up their own mind and ‘know better’. The only real struggle for teaching the general public is the diversity in the classes. Our classes are open to anyone above the age of 16. You can imagine what it can be like to have 16 students all of different ages, cultural backgrounds and life experiences. Sometimes the banter between students needs to be stopped and the class is bought back to attention and the task at hand. In your personal opinion what are some of the shortcomings in floral education that the industry should strive towards working on? In Australia, this would definitely be the training package that is taught in Registered Training Organizations (RTO). If you wish to become a RTO, you must deliver the training package exactly as it is stated. 40-50% of what is in the Certificate III Training package is obsolete and would never be used in a 2015 commercial florist. I think the Training Package and the manner in which is is marked upon to deem someone ‘competent’ needs to be addressed in the future. We have chosen thus far, not to become an RTO because of not agreeing on what is to be taught. Our Industry Course has been developed to cover the crucial learning needed to enter the Industry, whether it be straight from school or later in life. There is also a strong oversight by commercial Florists when hiring, to look only at candidates who posses a Certificate. Some of the worlds best florists are not ‘qualified’, however their designs, speed and presentation far surpass the industry Standard. I know that more progressive business people, do indeed hire on the skills and standards of the candidate, not the piece of paper in a file. Again, with the current training package, even if the student is terrible, and RTO must pass them if they have ‘tried to complete the task’. What do you do to keep your self-educated and on trend? I do my best to attend all major worldwide competitions, conferences and summits each year. I also actively look weekly to what is trending on Social Media and in Fashion Blogs and Magazines to try and pre-empt the classes that will be required for my school on a particular technique. 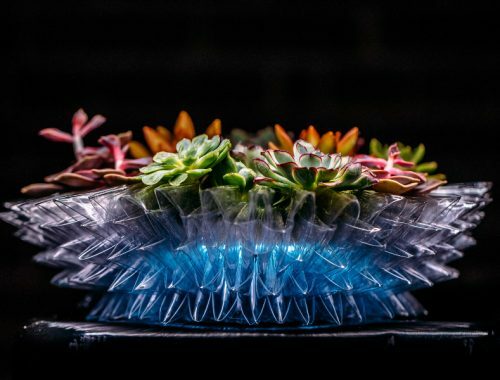 An example is, when Kokedama made a comeback in Harpers Bazaar in 2013 (then trickling to Blogs, Social Media etc. 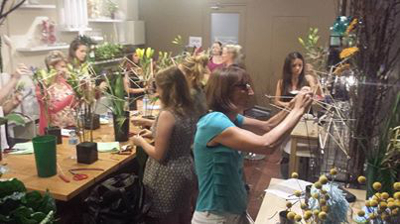 ), I immediately scheduled a Kokedama workshop within the coming months. I also work closely with other educators, particular Joseph Massie of the UK School of Floristry. We often ‘compare notes’ as to the content of what we’re teaching and how it is being taught. 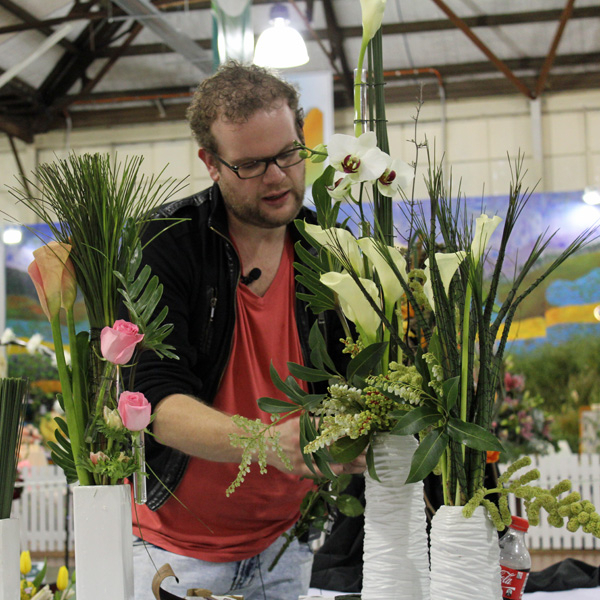 How would you say floral education differs in Australia than floral education in the rest of the world? The Floristry Industry is unregulated in Australia. Therefore you do not ‘need’ to have a Certificate III, IV or Diploma to obtain work or run your own business. Therefore anyone can offer training, open a school or conduct workshops. This is good and bad. I feel it would be great if the was somewhat of a governing body, but not exactly ‘regulated’. For example, someone who completes a class at my school, it would be nice if they were able to sit exams and get ‘rated’ by a governing body for their skills (similar to AIFD). Australia follows multiple trends. European, Asian and American. This does make it a little more diverse with setting training plans. In the past, Australia has been heavily influenced by very traditional English Floral Design. Hence why this has become somewhat obsolete, as the younger generation (or what we call ‘our current customer’) wants products that are a lot more stylish and modern. The only thing that is really the same worldwide are the Principles and Elements of Design. What floral topics do you feel in your personal opinion are either over taught or need to be focused on more? I personally think the number one topic should be ‘How to maintain our Industry’. This is a luxury product in a climate with a future that is unknown. It’s all very well to teach techniques, designs and how to cost and market them effectively. But do those designs have a place in the future of our industry or are we focusing too much on a trend that will only last months? 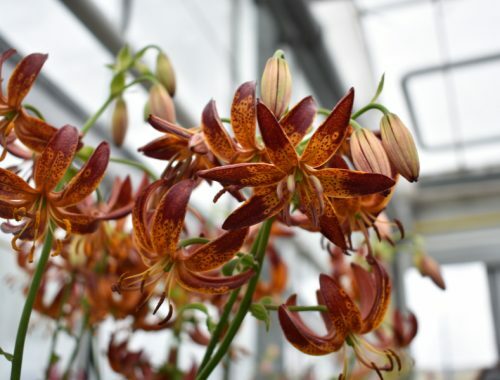 There is also a decline in the knowledge of Botanical names and Variety knowledge. There are too many people referring to things in our industry with little or no knowledge of their history or how they grow and should be cared for post-harvest. We should be referring to something like a Red Rose as a ‘Grand Prix Rose’ or an ‘Adrenaline Rose’ not just a ‘Long stemmed Red’. It is like the difference of seeing a Doctor. You pay more to see a specialist than you do to see a General Practitioner. Each Floral Designer should be striving to have the product knowledge of a ‘Specialist’ and charge accordingly. 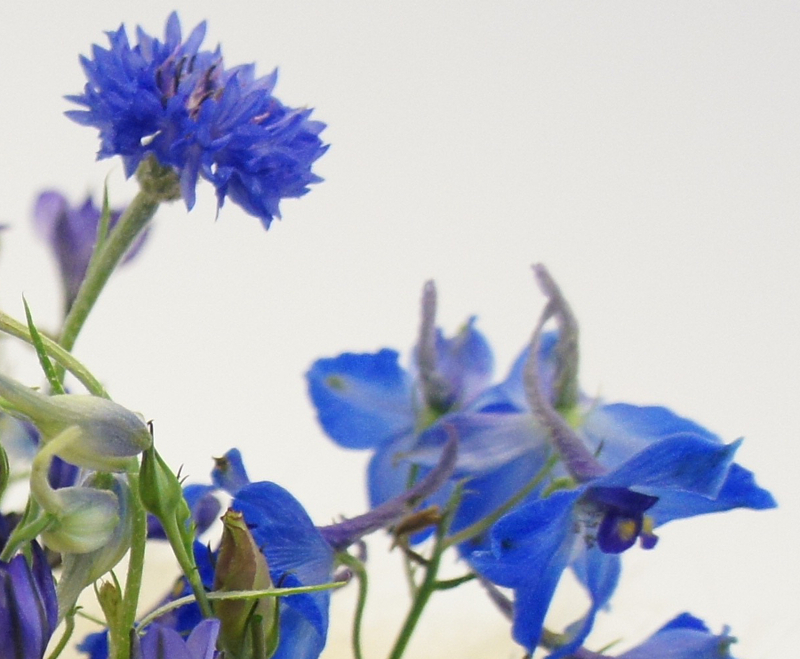 How would you like to see floral education evolve over the next 5 years? I would love to see a little more of a commitment in education moving forward. There is a difference in simply ‘delivering a course’ and ‘teaching a student’. To be honest, I think the dead wood that needs to be weeded out of the teachers in Australian Floristry Schools, will reach natural attrition within these years. Younger, more progressive teachers like myself are now seen to be far more successful than older generation, with perhaps more traditional teaching methods. What do you hope your students take away from your training? A little piece of my passion. I am incredibly dedicated and passionate about this Industry and also our craft. I try to go above and beyond with my students and always give them my 100%. I hope my students not only take away the skills we’re teaching them, but also some dedication and commitment to advance their skills and be more successful personally or professionally. What do you think are some of the top floral educational advancements that have helped progress the industry? I think the shining star in this would be Social Media. Instagram, Facebook, Blogs, Pinterest etc. This has enabled a product to go viral and become a worldwide phenomenon in the touch of a finger. If Beyoncé is wearing a Flower Crown, suddenly, everyone wants to wear a flower crown. Floral Designers are quick to criticise people working from home and also offering DIY on Blogs and Video Tutorial. I think the point here is missed. They’re promoting Flowers. People are engaged and loving flowers and Floral Design. Rather than being insecure, they should be proactive in their business and realizing there is perhaps another market they could tap into. 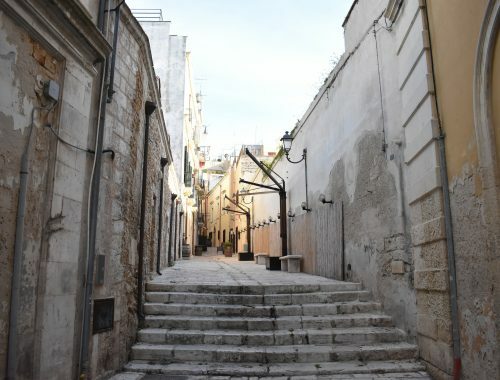 Social Media has also allowed us to tap into what is trending in other parts of the world without having to wait day, weeks or months for a new book or magazine. You can monitor the success of what you’re producing and also the engagement with the audience. People aren’t shy to tell you what they think. There are many blogs that have wonderful, educational tips for florists and general public that will enable them to either make more informed buying choices, use different or learn new techniques and also forecast upcoming trends. 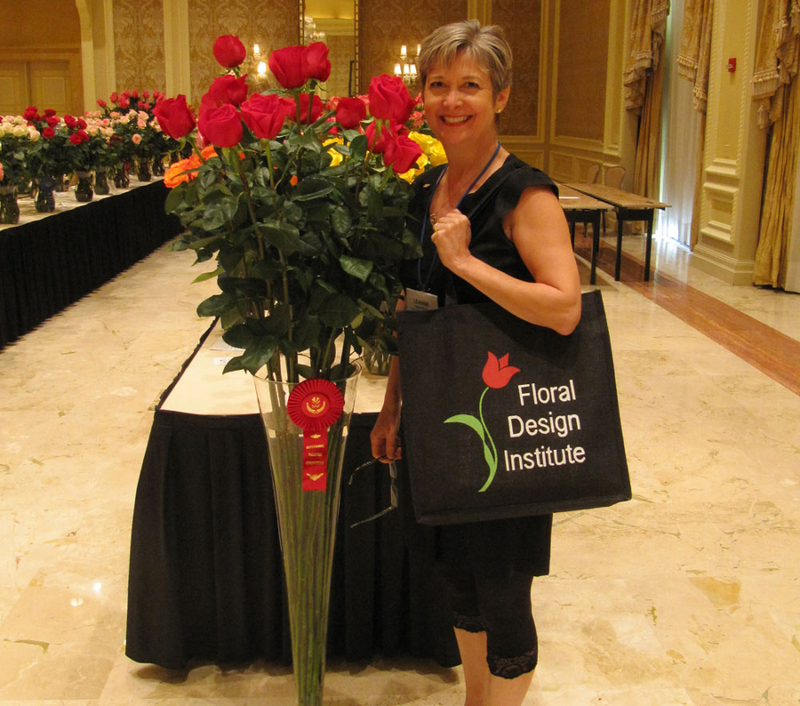 Of the floral educators around the world, who are your top 3 and why? 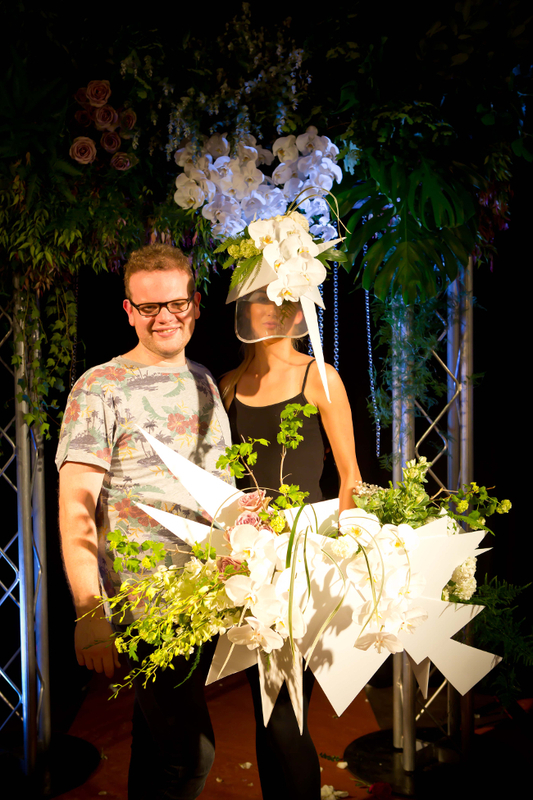 Gregor Lersch – Germany : Gregor is like the Yves Saint Laurent of the Floristry Industry. He broke the rules, then re-wrote them. He did what everyone else was too scared to do. He educates with a level of passion and dedication that oozes out of every fibre of his being. A legend in our industry and a true inspiration. Gregory Milner – Australia : Greg’s mother Marjorie Milner was a pioneer of education in Australia, starting Marjorie Milner College in Melbourne. Greg has taken this college from strength to strength. Greg is responsible for Australia having a lot of the education it does today. Along with a range of videos and books his passion is visible in each and every interaction. Joseph Massie – England : Joe, similarly to myself started young and has achieved a lot. Joe is also what I consider the ‘new generation’. After his recent acquisition of the UK School of Floristry, I invited him to come to Australia to be a guest demonstrator and workshop tutor for my school in 4 Australian cities. Joe excelled on delivering ‘current’ and relevant information about the industry and its trends. 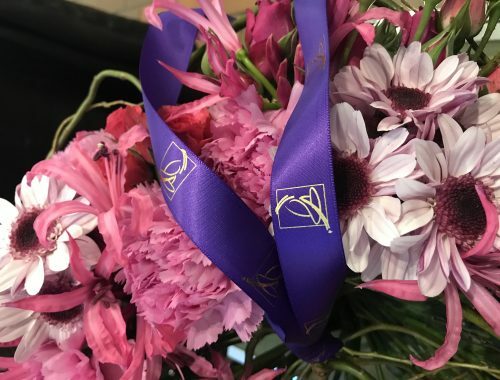 As a fresh breath into Floral Education, Floral.today looks forward to the day that we get to personally work with Matthew Landers and his forward thinking Matthew Landers Academy. 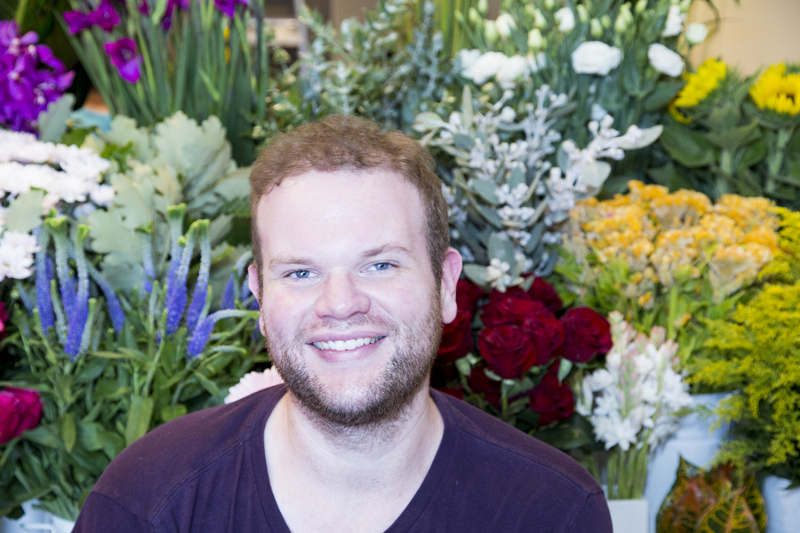 Thank you to Matthew for taking the time to share with us an Australian perspective on the state of Floral Education and we look forward to the inspiring floral future he is working towards. Check out all the links above to stay in the know with all things Matthew Landers .